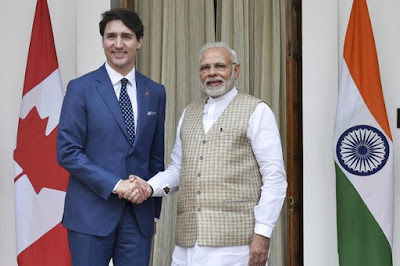 The Union Cabinet chaired by Prime Minister Narendra Modi has approved the signing of the "Memorandum of Understanding (MoU)" between "Institute of Chartered Accountants of India (ICAI)" and "Chartered Professional Accountants of Canada (CPA Canada)". Approval of the Cabinet has been granted in respect of Ex-post facto approval of the MoU signed in 2011 and approval for signing of MoU between ICAI, India and CPA, Canada and the MoU envisages arrangements for reciprocal membership that will apply to the respective members of both the Institutes subject to specified criteria. The MoU also includes further collaboration on the definition, learning, and evaluation of the professional qualities and skills and competencies of entry-level Chartered Accountants.